CPCL Recruitment 2018: Chennai Petroleum Corporation Limited has planned to recruit eligible candidates for Officer & Engineer Posts. Recently it has released the recruitment notification for officer vacancies. As per the advertisement, totally 42 vacancies are allotted for this posts. Applicants who want to get central government jobs in Tamilnadu can use this chance. CPCL online application form and official notification is available in CPCL website. Applicants can make the online registration from 24.09.2018 to 08.10.2018. CPCL invites candidates who have completed Engineering in relevant disciplines from recognized university. Aspirants must have attained the prescribed age limit. CPCL will conduct written test and interview for selection of suitable candidates. CPCL written test will be held at Chennai only. After that selected applicants will engage on anywhere in Tamilnadu. Contenders should submit the application form through online mode only no other mode will be accepted. 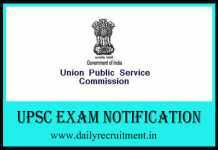 More details of CPCL exam date, admit card, upcoming notification, latest jobs and etc. are available in official website. Chennai Petroleum Corporation Limited shortly CPCL is an oil and gas corporation owned by Government of India. It’s a Public Sector undertaking and Group of Indian Oil Corporation Limited.Formerly, it was called as Madras Refineries Limited. The corporation has been operating since 1965. Headquarter is located in Chennai, Tamilnadu. They produce products, such as Diesel, Kerosene, LPG, Petrochemicals and Petrol. Because of its performance, Indian government awarded Miniratna status. More than thousands of employees are working in the company. You may visit CPCL Recruitment Drive page to get more details about this recruitment. Here you will get information like educational qualification, age limit, application mode, fee and how to apply. Keep check www.dailurecruitment.in regularly to get latest updates. Graduate/ PG degree/ Engineering in relevant disciplines from recognized board or university. Candidates should have maximum 26 years. CPCL will conduct Written Test/ Personal interview for selection of candidates. Candidates may apply to this CPCL recruitment through Online Only. Rs.500 for Gen/ OBC candidates and no fee for SC/ ST/ PWD/ EXSM candidates. Fee can be paid through internet banking, debit card, credit card and bank challan. Click “People & career” select “Recruitment Drive”. 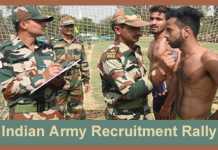 Find the advertisement “Recruitment of officer – 2018″ click on the advertisement. Notification will open read it and check eligibility, then back to the page. To apply enter your details correctly and then click submit button. CPCL Recruitment 2018: Chennai Petroleum Corporation Limited (CPCL) invites application for engagement of Trade Apprentices. Totally 142 vacancies are allocated for Apprenticeship. Aspirants can apply to this CPCL recruitment through online mode on or before the last date. CPCL recruitment online application form and notification is available in CPCL Chennai careers. Last date for this CPCL Manali recruitment is 12.08.2018. CPCL Apprentice recruitment 2018 training period will be 12 months for all trades except Advanced Attendant Operator (Process) & Security Guard. Apprenticeship Training will be 18 months and 15 months respectively for Advanced Attendant Operator (Process) & Security Guard. CPCL select the candidates via merit list. A candidate should apply one trade only, more than one trades will be rejected. Final merit list of CPCL (i.e.) CPCL Apprentice results will be updated on official website. Allotted vacancies for this CPCL recruitment is unsure, it may increase or decrease. 8th/10th/B.Sc./B.Com/Any Degree/MBA/MSW/PG Diploma/MCA/CA/ICWA/MFC /ITI in relevant disciplines from recognized board or university. Candidates should have minimum 18 years and maximum 24 years. To apply click “Click here To Apply online” enter your details correctly and then click submit button.